We’re having a wonderful summer and, as I pen this web page, the forecast suggests that it’s not due to come to a end any day soon. That’s great news for us all. 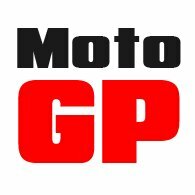 It’s been terrific weather for motorcycling. Now, we really cannot bring ourselves to complain about it being too hot, but if you’ve got the wrong gear, it can be a little uncomfortable. And even though it’s all the rage in Italy to race down the Autostrada in a T-shirt, shorts and flip flops, the prospect of riding in such inappropriate gear sends a shiver down our spines. 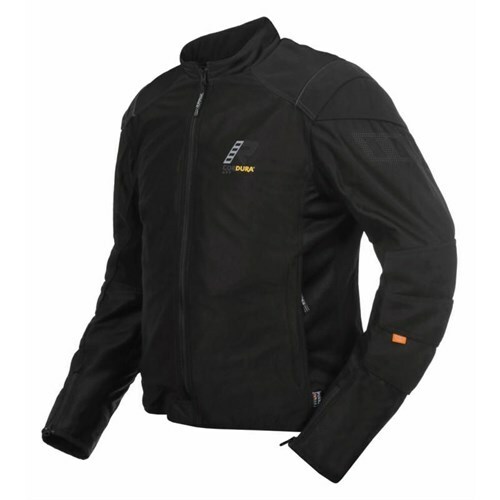 But we think we have a terrific range of gear, including jackets of course, that will help you keep your cool in these conditions. And importantly, keep you safe on the bike. 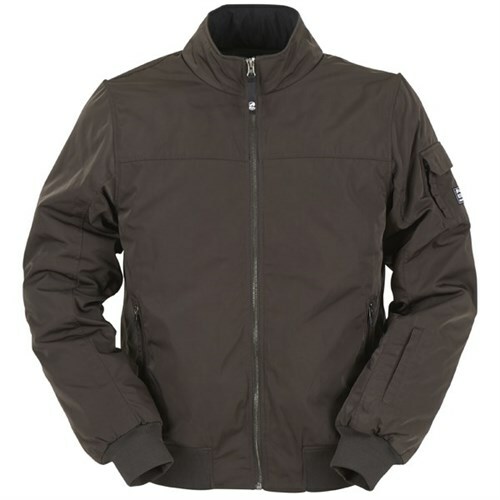 Below we list 10 of our favourite jackets. You’ll find lots of other summer jackets on the website but, if you’re confused or need help, spread your canvas, and set a course for Guildford. We’d love to see you here, and we’d love to help you find the gear you need. 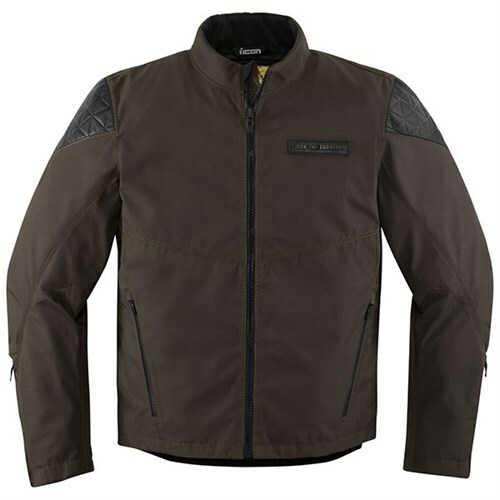 The Forsair is, without doubt, the most breathable, best flowing motorcycle jacket money can buy; the reason being that it’s made almost entirely of Dupont’s amazing knitted Cordura AFT that delivers the same abrasion resistance as normal Cordura, but with almost twice the ability to flow air. 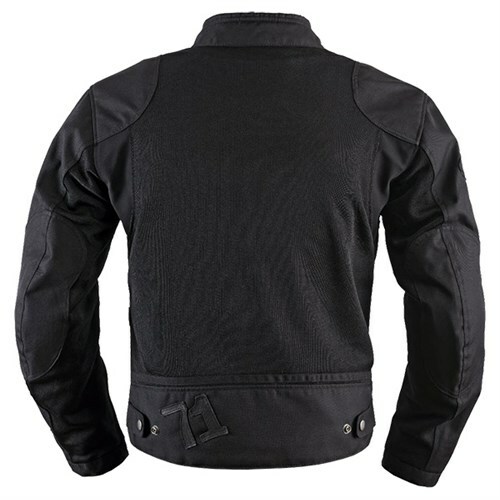 What distinguishes the jacket particularly is that the entire jacket flows. Some mesh jackets are a little lacking in substance. They flow the air, but are not necessarily very robust. 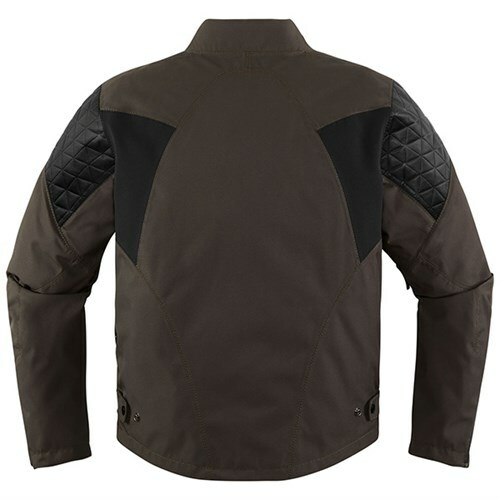 The Flux flows the air very well, but it feels more like a proper motorcycle jacket than do most jackets of its ilk. You even get Hi-Art in vulnerable areas for added abrasion resistance. 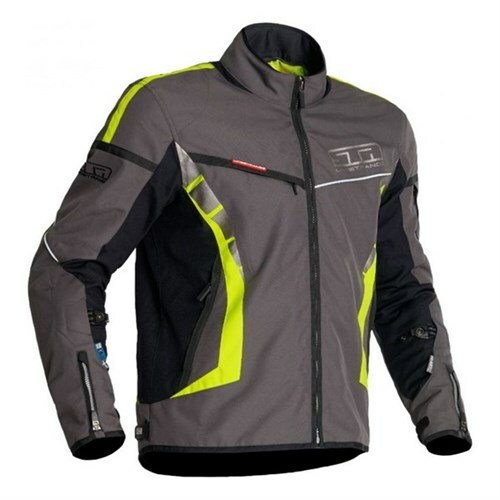 This is a traditional, lightweight, summer jacket that, because it has a waterproof membrane, can be used equally in the spring and autumn. 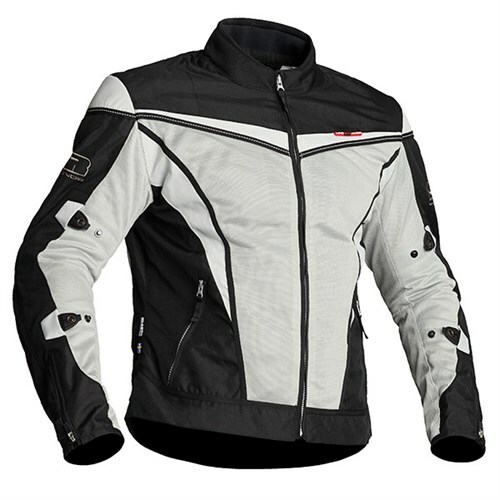 The trick up it’s sleeve is a zip out mesh panel that comes into play when you undo the main front zip. It’s a clever idea, although you have to ignore the silly hood that does absolutely nothing! The ladies’ version is called the Zoya. The Qurizo is, in truth, very much aimed at the off-road rider. 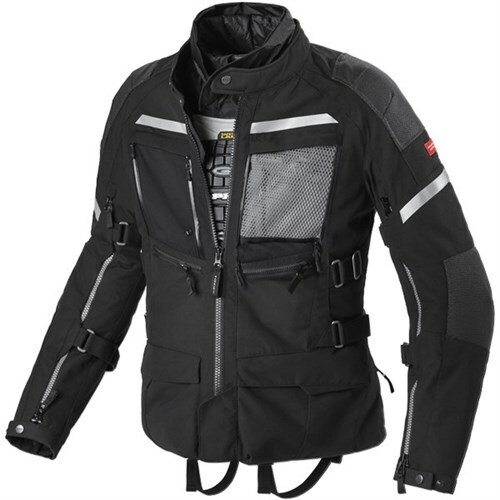 It has huge, zip vents front and back, but to make sure that air reaches the body, one has to zip out the internal waterproof jacket first. 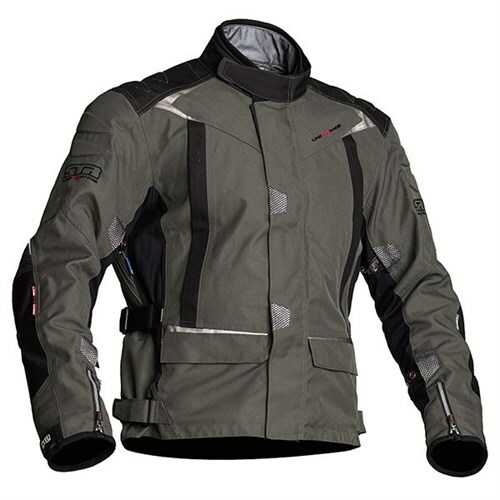 It’s the perfect adventure-riding jacket. If it rains, just zip the inner jacket back in. This is a serious jacket. It's less about popping out for a sandwich on a Sunday morning; more about crossing continents. 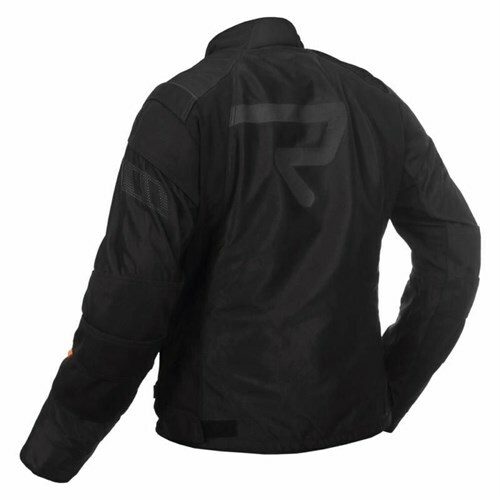 It has a removable and waterproof inner jacket. But for when it’s hot, you get two huge roll-down mesh panels on the front, and an even larger one on the back. Safety is not taken for granted, as evidenced by the use of full-fat Superfabric in key areas. 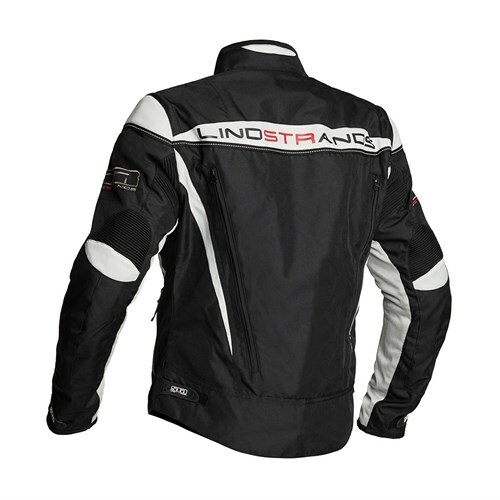 Made from a highly abrasion-resistant poly-nylon, the Winner Mesh has large parts of the chest, sleeves and back covered with mesh for excellent air flow. There's an aerated, fixed liner with two zip pockets. You get adjusters on the waist and sleeves, and there's CE armour in the elbows, shoulders and back. 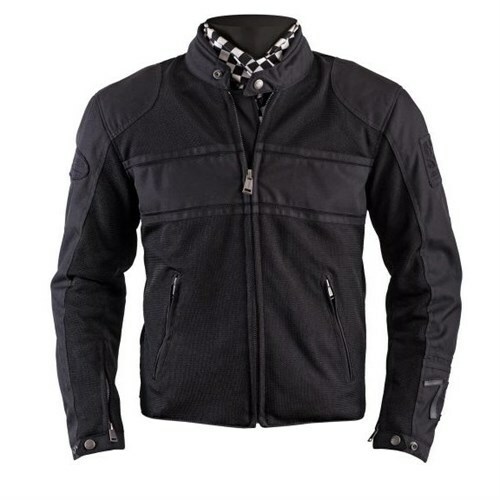 The Malcom is a very stylish, Harrington-style motorcycle jacket that, in truth, doesn’t look like a motorcycle jacket at all which, of course, is part of its appeal. It has a zip out thermal liner but no waterproof membrane, so it will flow air very nicely. But for short showers, the waterproof coating will still provide some respite. 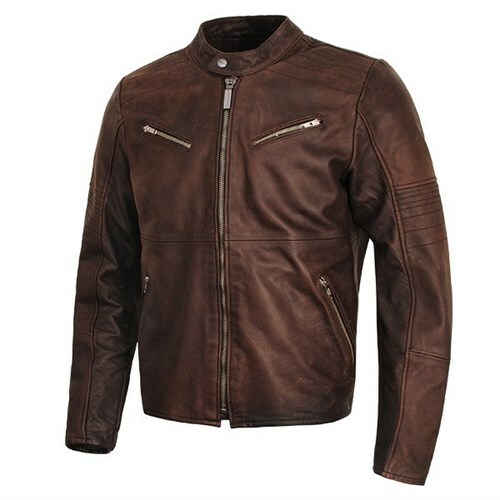 When we imagine the hottest of conditions, we instinctively move towards vented, textile jackets, but a super-lightweight leather jacket can also be nice to wear on a warm day. 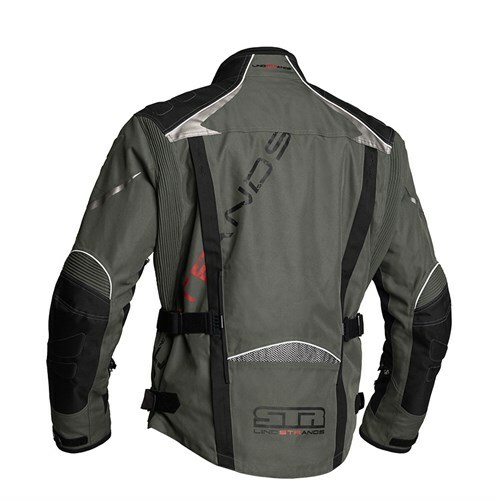 Spidi’s Garage jacket combines classic, retro looks, with a lovely, soft and light leather that you won’t overheat in. 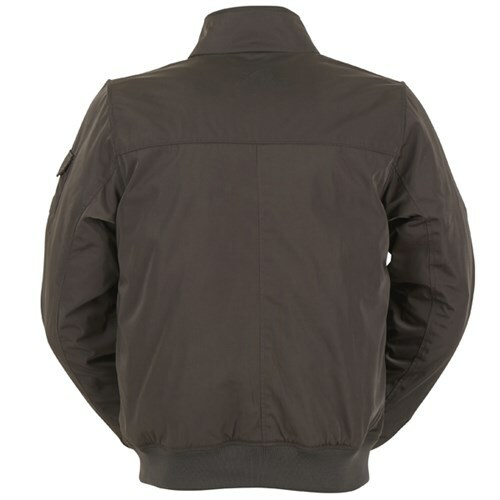 The Halvarssons 310 is one of our favourite, lightweight, summer leather jackets. 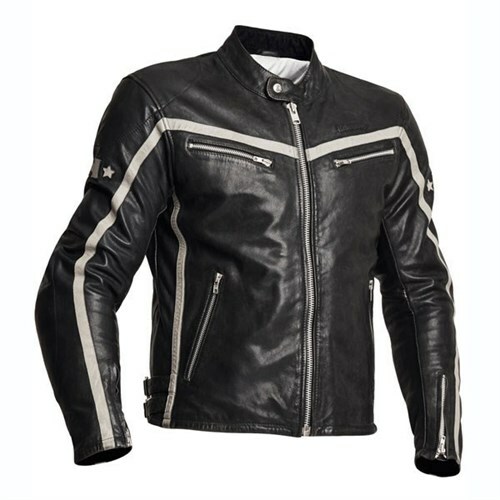 It’s made from goatskin, which is light and soft, but stronger than cowhide for its thickness. 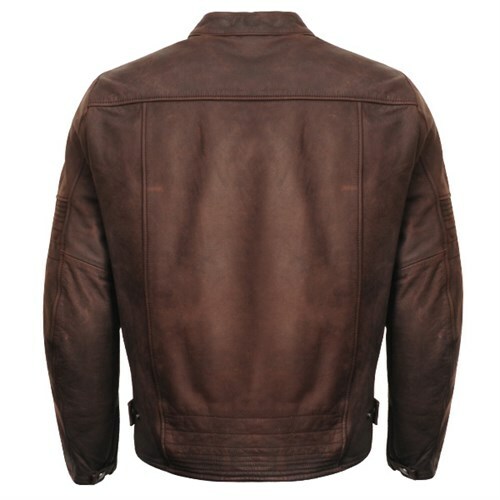 You’ll feel as cool as you ever will in a leather jacket, but you’ll also remain well protected. Icon’s take on a lightweight, summer jacket is a bit different. 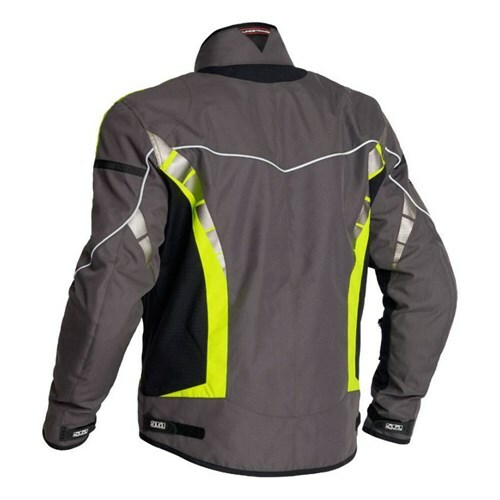 It is indeed light and reasonably well structured but, with its laminated membrane, it will also be more than up to the job of keeping you dry in a downpour. 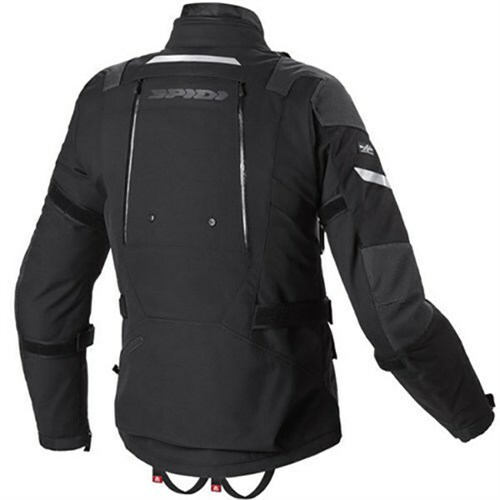 The venting, however, comes from huge underarm vents that open and close by means of waterproof zips.